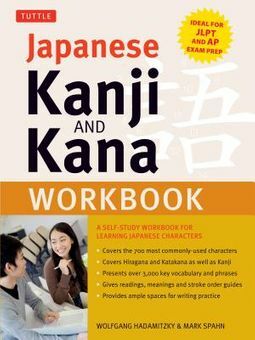 Japanese Kanji and Kana Workbook offers a systematic approach to learning Japanese characters. 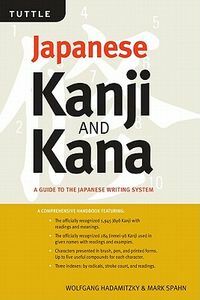 It is designed to be used with the best-selling Japanese Kanji & Kana: A Guide to the Japanese Writing System. Presenting all 92 Hiragana and Katakana and 617 high-frequency Kanji characters, this character workbook teaches you how to write the Kanji and Kana neatly and correctly. Included for each character are the Japanese and Chinese readings, stroke order writing guides, English meanings, vocabulary, radicals, and ample space for writing practice. 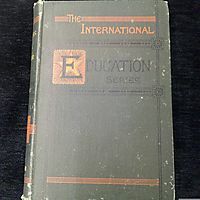 This valuable Japanese language book also includes an introduction explaining how to begin learning the Japanese writing system and two Kanji indexes--one by radicals, the other by readings. 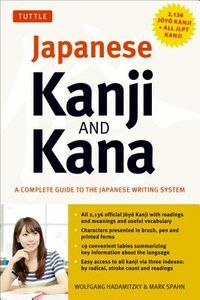 The 617 kanji characters provided cover all Kanji required to take the AP Japanese Language and Culture Exam and the JLPT levels N5, N4, and N3.